A few years ago, Massachusetts General was starting down the path of implementing a new revenue cycle when they hit a bit of a roadblock. 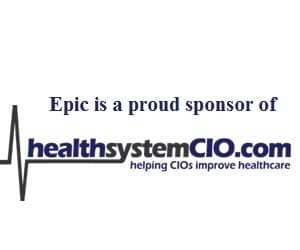 The parent organization, Partners HealthCare, had decided to go “soup to nuts” with Epic, meaning that CIO Keith Jennings would have to construct a detour. But when your “world changes,” that’s exactly what a leader needs to do, and so he created in a new roadmap in collaboration with other Partners hospitals. Now, Mass General is in “a much better place,” according to Jennings. In this interview, he discusses the balancing act of keeping the goals of the hospital and Physicians Organization aligned, why his team is planning a staggered go-live, and the work they’re doing with population health. He also talks about how Mass General is working to make innovation and process improvement part of the culture, and what it was like stepping into Jim Noga’s shoes. I wanted to make it apparent to the folks running the program and to the clinical staff that if they wanted IT help or support, I have a whole bunch of people who’d love to partner with them and be their number two as they get into these kinds of projects. We have 26,000 employees, 1,800 docs, and a couple of thousand nurses, and to empower all of them with the tools to make either incremental or large-scale improvements is just a fantastic thing. A lot of folks still sometimes reach out to Jim as muscle memory, thinking, ‘Jim’s the IT guy.’ Well, now he’s my boss and he’s got another set of views, and so I have to try and corral some of those things. Epic’s software is great, but one of the things that it will really do for us is to start providing some normalized discrete data, which provides significant benefits to the clinicians, but it also starts providing large stores of data that you can actually compare and do work against. We are moving into a world where I have a larger value to add to the organization as a data manager, both providing data, but also helping the clinicians and staff to use that data in a more effective path or process. Jennings: I volunteered and forced my way into one of the classes even though it’s only supposed to be for clinicians and a lot of people said, ‘Keith, why would you go there?’ And I said, ‘For two reasons. One, because, boy, isn’t this interesting and wouldn’t I want all of my IT staff to be able to do these same kind of things — perhaps on slightly different problems, but we have problems like this. And then I wanted to make it apparent to the folks running the program and to the clinical staff that if they wanted IT help or support, I have a whole bunch of people who’d love to partner with them and be their number two as they get into these kinds of projects. A lot of them are hand hygiene or other activities, but an awful lot of them have to deal with data analysis or small applications or interpreting data that the clinicians may or may not be expert at, but an IT person can help with that, so I’m forcing my way into this program to let our staff work and be in support of the clinicians they run through. But you want to talk about innovation, right? We’ve innovating by creating a program to create innovators and giving them the tools in order to be successful at wherever they end up in the organization. I think that’s also a fantastic model that other folks should take a look at. Gamble: I’m sure you hear some really interesting things sitting in on these meetings. Jennings: I learned a lot. I still I have my manual from my CPIP class and I use it, in fact, on a regular basis with initiatives that we’ve done here. And in fact, two months after I graduated from the class, we had an opportunity and I said, ‘Boy, this sounds just like one of those CPIP projects,’ and I ran it just as we did out of the manual, following our steps, interviewing people — who are your stakeholders, what are the conditions you’re trying to solve. I partnered with our director of nursing informatics and we actually, at the end of this small program, we changed the way we provide help desk support across the entire hospital for inpatient care units, which I was both tickled pink about. It was a fantastic reminder of the value of having people who know how to do these kind of projects and then giving them the tool sets and data and other things to do them. Gamble: It’s great to see an instant result like that and something that really makes a difference. That’s going to make it feel worthwhile. Jennings: It does. And it doesn’t mean that you don’t have to do larger projects that require a different scope and scale. We have 26,000 employees, 1,800 docs, and a couple of thousand nurses, and to empower all of them with the tools to make either incremental or large-scale improvements is just a fantastic thing. Gamble: That’s great. Now, you’ve been CIO at Mass General since 2011, correct? Jennings: It seems like a lot longer. But yes, I think that’s about right. Gamble: Okay. And now you said that that was the role that Jim Noga previously held? Jennings: That is correct, he did. Gamble: All right. I’m sure that was interesting, walking into his shoes? But yes, you’d have to ask him, but I think we have a fantastic work relationship. And it was very beneficial, I think, to Mass General — not so much that we get favors over the Brigham or anything — but there was no learning curve when I got this position for the Mass General CIO to learn how the Partners CIO likes to function. So it worked out very nicely for us, and it certainly worked out very well for me. But I will tell you, one slightly negative side effect that I’ve discovered. Even now, four years later, I’m sometimes chasing things down because Jim was here so long — he was here 15 years as a CIO. And I can’t speak for other healthcare institutions, but almost nobody leaves our place; once you get here, you stay. I’ve been here now 15 years and I’m still new. People consider me wet behind the ears. A lot of folks still sometimes reach out to Jim as muscle memory, thinking, ‘Jim’s the IT guy.’ Well, now he’s my boss and he’s got another set of views, and so I have to try and corral some of those things. There are worse problems to have, but that’s one of the odd things that occurs when your boss had the old role. But again, I think that’s minor compared to the benefits we get from Jim and I having a very long and very successful working relationship prior to him taking his new role and me taking my new role. Gamble: You talked before about your past experience in programming. I’m sure that that’s beneficial in a lot of ways to have had that experience and have that viewpoint, even in your current role, to know what that was like from their eyes. Jennings: Sure, and I don’t want to sound too high on myself, but I think I’m fairly well-rounded. I started out as a programmer. For a couple years, I was in the defense industry, but that ended in the late 80s. Then I actually worked for a vendor, IDX Systems Corp., which eventually became part of GE. I was there as an installation programmer and I spent a lot of time — a little bit of technical work, but an awful lot of time, working out with clients getting ready to install a new large system. After that, I went to Beacon Partners, which is a small boutique healthcare consultancy. When we started, that company was very small and was primarily former IDX employees, and so we were very IDX-centric. Their physician practice billing system was the big seller there. I spent a lot of time doing IDX work as a consultant, and then I grew a technical programming department. We eventually started to offer applications and custom programming to clients. Not that I’m giving an advertisement for Beacon, but they grew and moved into all kinds of other markets, other vendors, and other parts of healthcare space. I think they recently merged with another big consulting firm, so they did very well, and apparently survived when I left. So I was there for a couple of years and that also gave me great grounding with technical and IT background, and then six years in the consulting space, going out and working with customers in all kinds of areas and situations. And then as I mentioned, just before 9/11, I came here to Mass General. As it turned out, they needed a system and environment manager for their burgeoning IDX platform. Lo and behold, I happen to have those skill sets. I came in, joined that team and helped them. At that time, they were really trying to standardize all of their PO practice on a single system, at least from their own internal rev cycle processes, so we were bringing a lot of practices in. So I helped stabilize that environment and grow that team, as it turned out, I grew a small programming group, which the department never had before, that used this scheduling data and billing data in all kinds of interesting ways to build a new class of applications and provide data marts in areas that really didn’t have the data before. That was really interesting and exciting and it was virgin territory for us, so I had some success in building some of the applications but also building a high-functioning team here at Mass General. I did that for a couple of years, and then Mark Hulse — who had been the CIO at North Shore, one of our facilities and is chief administrative officer down at Moffitt Cancer Center down in Florida — he was here at Mass General before he moved up to North Shore to start his CIO career. When he moved to North Shore, I took his position here which we called IS management and planning, which is a role that really doesn’t own any applications, but owns both large infrastructure projects at the hospital. A few years ago, I had a big opportunity in that role. We rolled out wireless across the hospital. We owned things like PC Refreshes where we have 18,000 PCs here on campus and we had to recycle or replace 3,000 or 4,000 of those every year, which is a big undertaking. And then general management, IS-related activities — interfacing with leadership at the hospital, as well as leadership at Partners, so I got further exposure and grounding beyond applications and closer to hospital operations in that role, and then exposure to a wider view of the enterprise. We have data centers off-site, but Mass General doesn’t have its own data center — we have a couple of Partners data centers—and so I got more exposure to those activities to really ground my awareness of all things IT. Gamble: So it seems like going through the different roles, you kind of were able to put together enough of a diverse background to jump into the CIO role? Jennings: Yes, I’m sure that there are many paths, but I took a reasonably varied one, and I think it serves me well and I’d like to think it serves the Physicians Organization and the hospital well. Gamble: And even in the four years since you’ve been in that role, I’m sure that you’ve seen it really take shape in different ways and make it clear there is no one way to prepare for this? Jennings: I would agree, and in truth, my role here has changed. Well, it hasn’t changed completely, but it’s heading in that direction, because our world will be significantly different after we go live on Epic than it is today, and it’s really changing the roles of not all but many of the folks in my department. Some of the things we do stay the same — a lot of things we do aren’t affected by Epic at all. I have folks who work on infrastructure, and the fact that Epic’s coming simply means we had to change from a 19-inch monitor standard to a 24-inch monitor standard, but by large, Epic is almost immaterial to much of the work that they do. But I also have teams that until we switch to Epic, the majority of our inpatient clinical applications were homegrown systems, and so I have teams that are very good at specking and developing the next set of features and then they also support them. When we get a vendor application, much of the development work and a lot of the design work will be done by either an enterprise group or the vendor themselves, so some of that work changes, some of it goes away. But the support functions and the ability to interact with our end-users about workflows and needs and concerns stay the same. It’s just the way, once we’ve identified one of these things, how we try to implement the change to support or fix those issues, is now different. And so, from my staff standpoint, this will change a fair amount of the work that they do or the manner in which they do it. Just from my standpoint as CIO at Mass General, again today, a large part of my portfolio is these homegrown applications, so a big piece of that by no means at all, we’ll switch over to a single large integrated vendor application. But concurrent with this, Epic is very important, but it really signifies more of a trend than itself. It’s part of the journey, not necessarily the destination. I see, again as part of the ACO work, the innovation work, Epic’s software is great, but one of the things that it will really do for us is to start providing some normalized discrete data, which provides significant benefits to the clinicians, but it also starts providing large stores of data that you can actually compare and do work against, and I really see to a certain degree my CIO role here. Today, I’m probably more of a technology or applications kind of manager. We are moving into a world where I have a larger value to add to the organization as a data manager, both providing data, but also helping the clinicians and staff to use that data in a more effective path or process. Gamble: Right. Once you get through this hurdle of implementing and going live, then you go to the next phase. Jennings: That’s right. Now, let’s exploit what we’ve done. Again, we’re going to put in a very good tool, but that’s only the beginning. It’s what we can do once we have the tool in place that’s exciting. It’s also a change, a little bit scary, but also very, very exciting. Gamble: Definitely. I’ll certainly want to catch up with you down the road after the dust is settled a little bit, although I don’t know if the dust is ever going to settle. Jennings: No, there’ll be something right after, but this will certainly be a big inflection point for us. Gamble: Yeah. Well, a lot of really great stuff going on there and I really appreciate you taking so much time to talk with us about it. I think this has really been beneficial and I think it’s going to be interesting to a lot of people at different organizations to hear your perspective. Jennings: Well, again, I appreciate the opportunity to talk a little bit about the great things that are going on here at Mass General, the Physicians Organization, and Partners in general. Gamble: All right. Well, thank you so much. I’ll definitely check back down the road, and I hope to meet you in person one day. Jennings: Very good, Kate. I look forward to it myself. Gamble: All right. Thanks so much, Keith.